Did you know that travel has been scientifically proven to provide an array of health benefits such as lowering stress levels, reducing the risk of developing heart problems, enhancing creativity and increasing overall happiness[i]? 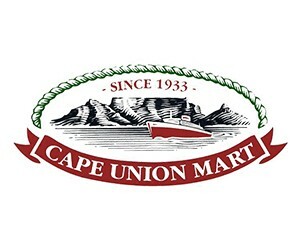 Cape Union Mart has a few gift ideas that could help enhance these effects when spoiling the traveller in your life this festive season. With the K-Way Large Evo Gearbag (R650, available for purchase in-store and online) having a volume of 85 litres and lockable YKK zips, along with a tough PU ripstop outer material, travellers won’t need to stress about having enough space for all their stuff. Getting sick while travelling can ruin a trip, particularly because you don’t want to get out of bed and see the sights. Staying warm has been scientifically proven to help keep colds and flu away[ii]so, with that in mind, why not give your favourite explorer the K-Way Nova Down Jacket (R2,499, available for purchase in-store and online)? Featuring a 90/10 white duck down fill, two hand warmer pockets, an adjustable hood and integrated elasticated cuffs, this jacket offers the ultimate in heat retention. Several studies have shown that exposure to natural environments can be associated with mental health benefits, which can be further enhanced when combined with exercise[iii]. With hiking being a great way to explore a new destination whilst being active and immersed in nature, the K-Way Venture 60 Backpack (R1,599, available for purchase in-store and online) is the ideal gift. Its features include an Air-vantage Adjustment System that allows you to customise your fit, a rain cover, built-in hydration sleeve and multiple compression straps so the pack can be expanded or contracted as required. Getting enough sleep while on a trip is crucial for being able to enjoy the experience (and for keeping stress levels low[iv]). The perfect present to help voyagers get the sleep they need is the Smartrip Convertible Pillow (R199, available for purchase in-store and online). Not only can it be used as both a neck and standard pillow, it has also been specially designed to reduce neck strain. Plus, it has a polystyrene filling and soft felt outer for extra comfort. One of the lesser known benefits of travel is weight loss, with studies attributing this to increased physical activity[v]. This makes sense, particularly with most travellers exploring new areas by walking – a massive change for many of us from being stationary at our desks all day. Made for seeing the sights of the concrete jungle and equally useful for day walks and hikes in nature, the K-Way Commute 28L Daypack (R399, available for purchase in-store and online) enables tourists to comfortably carry all they need during their on-foot excursions. The bag boasts three compartments – a smaller one for storing keys and a wallet, a spacious main compartment for larger items and one at the bottom for easy general access. Other features include a padded back system for all day shoulder and back comfort, side mesh pockets, YKK zippers and a hip belt for extra support. With gifts like these, the benefits of travel can be taken to another level.